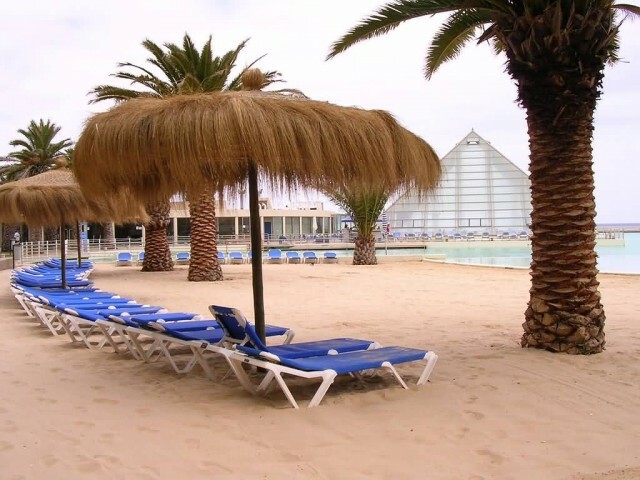 San Alfonso del Mar is a private resort in Algarrobo, Chile. 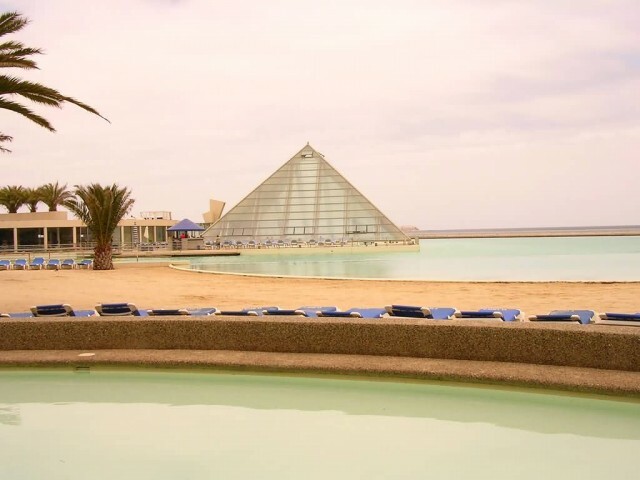 The resort is recognised as having the world’s largest swimming pool. 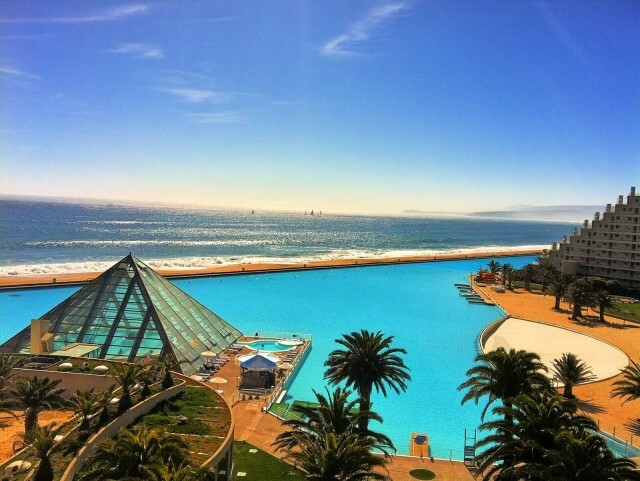 The pool is 1,013 m long, covering 20 acres, containing some 250 million litres of seawater with a maximum depth of 11.5 ft. The water is pumped from the Pacific Ocean, filtered and treated. 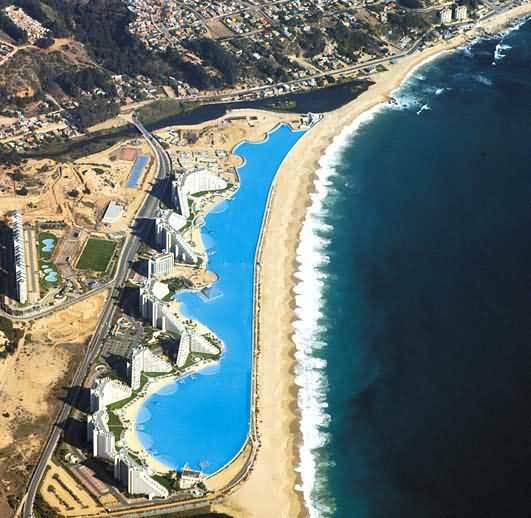 The pool was developed by Fernando Fischmann and his Chilean company Crystal Lagoons built the pool. This swimming pool was opened in December 2006. The total cost of construction at about US$3.5 million for the filtration system alone and it takes almost US$4 million in annual maintenance.